Embarkation will occur in the late afternoon, after which your vessel will sail down the historic Beagle Channel. 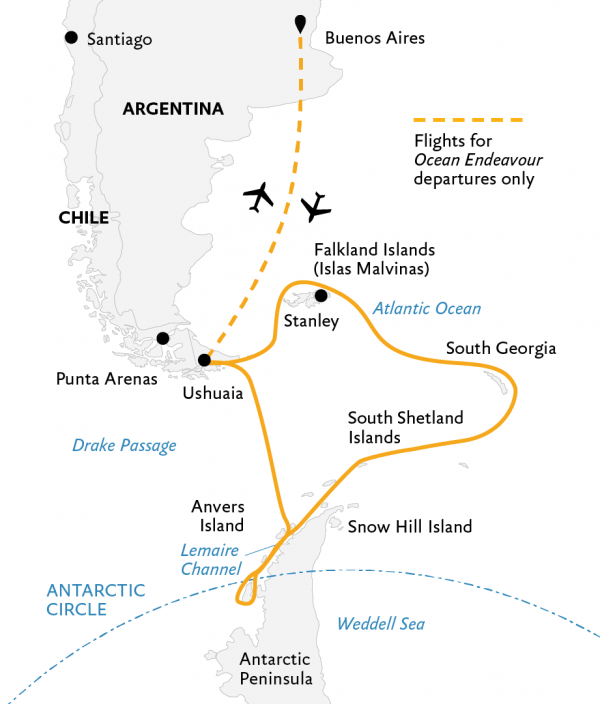 This famous channel transects the Tierra del Fuego archipelago in the extreme south of South America. Expect an air of anticipation as you depart—the next time you see land you’ll be in the world’s most southern continent!